Since our two part series on the Roku was released, there have been a number of positive responses to the information and overall product that Roku provides. In Part I we covered the basic functionality of the Roku XDS, while in Part II we discussed the content and what viewing options to expect. As with any review, there are still some unanswered or specific questions that readers want answers to. In our third and final installment in this review series we examine some of the questions that maybe weren’t answered or need more clarity. Question 1: Is there a complete Roku channel list? Roku provides a channel listing on their website which lists the channels available in their channel store. You can view the listing at http://www.roku.com/roku-channel-store. What you find on the Roku channel listing page is likely to be incomplete at times. The reason, presumably, is because new channels are added regularly and so the list may be incomplete. Another reason is due to what Roku calls its ‘Newscaster’ channel. There are more channels than just the major networks with their news broadcasts. Channels like PBS and Currentv are available through the Newscaster channel. So while you may not see a specific channel, it doesn’t necessarily mean it doesn’t exist. Which brings us to the second part of this answer. There are channels that can be added to your Roku box which are not shown in the channel store. Generous developers have taken the time to develop Roku channels that are popular and/or sought after. Channels like HGTV, SiriusXM, FoodNetwork and others are available for the Roku by adding a code to your online Roku account. The aforementioned channels can be found at http://www.permanence.com/roku/. While this is not a complete list, it should give you a better idea of the content depth available. Question 2: How much do the channels cost? For the most part, the channels are free with the exception of games (Mah Jongg, etc.) and a small handful of others. You pay once for the Roku box, then add channels as you wish. Service channels such as Netflix, Amazon and others are free but the service those companies provide is not. As an example, the Netflix channel is free but to watch instant movies you need to have a paid Netflix account. Question 3: When is new content available? Mostly this answer will depend on the channel and content providers/owners. For movies, Amazon will have the most up to date DVD releases for rental viewing. Netflix has a huge library but can only display movies which the content providers, movie studios, rights owners or whichever allow to be broadcast via streaming device. The same applies to any streaming device, whether it be Roku, streaming blu-ray player or other. Television has a wide variety of choices and we couldn’t answer every question involving TV even if we tried. Generally speaking, if Netflix streams the shows you watch then the current season will air a season later. Hulu Plus and Amazon have current episodes usually within a day or two but have their own caveats. Amazon rents the episodes, so you will pay per episode. Hulu Plus content was discussed thoroughly in Part II. Other items like World News from the major networks have varying times but in particular, Nightly News (NBC) is viewable the same evening it airs. Question 4: How long is content available for? This will depend on the channel. Netflix for example is available indefinitely. Newscaster shows like World News and others have several past episodes available but will not hold them forever. The only reason that content would suddenly disappear is if it has either expired or been pulled from streaming content by the provider. If content is pulled, it will affect Netflix streaming availability. Question 5: Can I use a Roku box without a wireless connection? Yes. You will need to run an ethernet cable from your non-wireless router to your Roku box. This is an inconvenient method so we recommend upgrading your home network if possible to a wireless one. You can purchase a wireless router from Amazon.com. Question 6: Can I Jailbreak a Roku? This question really doesn’t apply, but the short answer is no. There is no need to try such a modification since you can simply create your own channels for addition to the Roku box. If you’re interested in creating your own content and channels, then check out the Developer Kit at Roku.com. Question 7: What shows are available through the Newscaster Channel? Update 2012: Many of these channels are now providing their own separate channel. For example, both Fox and NBC have moved their content to their own channels on the Roku. Keep in mind that some of those channels have their own separate Roku channel, such as Fox and CNET, so content will vary and may change in the future. The major networks all have their traditional evening news shows along with specialty programming focused towards news broadcasts and current events. Question 8: Can I Watch Basic Cable on the Roku? The Roku is not a cable provider nor does it use a traditional cable line to deliver content to your television. The Roku is a streaming media player that delivers content from your internet connection to your television. Read ‘Cut the Cord: Replace Cable with Roku, Part I‘ to get a better understanding of the Roku box. Question 9: Does Roku Have Major TV Networks? The Roku box is not a form of cable. The Roku delivers channels, similar to apps on a smartphone, whereby those channels stream content to your television. So for example, if you want to watch ‘Castle’, an ABC show, you would access the Hulu Plus channel on the Roku and play a ‘Castle’ episode. 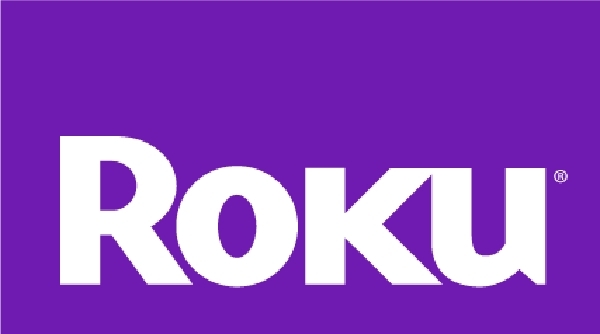 Read ‘Cut the Cord: Replace Cable with Roku, Part I‘ to get a better understanding of the Roku box and ‘Cut the Cord: Replace Cable with Roku, Part II‘ for more explanation on channels and content. Question 10: Does Roku Replace my Wireless Router? No. You will need a separate wireless router in order to benefit from the Roku wireless connection. Question 11: Does Roku Require High Speed Internet? As is the case with all media streaming, especially video based, high speed internet access is recommended. Our opinion is that the Roku should not be attempted without high speed access. Question 12: How does Roku work with Comcast and other cable providers? The Roku box has no interface or connection to cable companies. The Roku is a standalone device that supplies streaming video feeds to your television via your internet connection. Read ‘Cut the Cord: Replace Cable with Roku, Part I‘ to get a better understanding of the Roku box. The Complete ‘Cut the Cord: Replace Cable with Roku’ Series: Part 1, Part 2, Q&A. Question 13: Can I use headphones with the Roku? Yes. The Roku 3 comes with a headphone jack built directly into the Roku remote control, allowing you to enjoy shows or music while your partner sleeps or is otherwise in need of quiet. Question 14: I get a green or other color on screen when I try to use the Roku? This phenomenon is most typically associated with a connection disruption between the HDMI cable and television. Simply unplug the HDMI from the TV and replug it in to correct the issue. For instances when that trick doesn’t solve the problem, we recommend a reboot of the Roku (unplug/replug the device from power outlet). What did you think of our 3 part series on the Roku? Do you have a Roku experience you’d like to share? Did most of your questions about the Roku get answered? Please let us know in the comments section! If you enjoyed or found this article useful, please show us some support by liking us on Facebook, following us on Twitter or by sharing us on your favorite social website. Thanks! @Nathan – Glad you took the plunge with Roku. No matter which Roku you purchased it will still sync your Netflix, Hulu Plus and any other accounts with any other devices that you use those services on (such as Xbox, etc.). So no worries there – though remember that syncing isn’t instantaneous! As for which Roku you purchased, there is a great image comparison that helps describe each model so that you can tell the difference. This link will send you to the Roku forums and at the 5th post down you’ll see the image: Roku model comparion. Thank you for the kind words, we’re happy to help! Let us know if you need any other info. Hello again guys, and thanks for the info on my last comment, it was so very helpful. I just have one quick silly question to ask. We bought a ROKU 2 a couple days ago and it’s in an orange box that’s about 8×8 inches and weighs about a pound or so, Anyway I was wondering, it only says ROKU 2 on it and I looked all over the box and it doesn’t say ROKU 2XS ANYWHERE . Only a picture of the high gloss box with the little blue fabric looking tab hanging off the side of it. I guess I’m just asking you guys, exactly what did I get lol , and will it still work through the Xbox and the Wii as per the last comment and response lol , (you’ll have to forgive my idiocracy lol). Thank you again so very much for your time, concern , and for your very intelligent help!!! @Nate_1204 – Thanks for your question. The Roku is for use on a single TV at a time. So to answer your question, yes you need a Roku for each TV if you don’t want to move it around like you do the Wii. However, if you already have the Wii and Xbox setup on 2 of the TVs, then you really only need 1 Roku for the 3rd TV. Since queues and favorites are tied to accounts with Netflix, Hulu, etc. – anything you watch on the Roku will update on the Xbox and Wii and vice versa. I hope that answers your question. If you have anything else, feel free to ask here or send in a message on our contact form. Good luck! Hello and thank you for your time. I live in a relatively small home, or I should say that our 3 tvs and wireless router and wired router are all close to each other. We have cable and phone/internet and are planning on dropping the cable and phone and keeping the internet. Will we have to buy a Riki for all 3 tvs. Not sure if it helps but they are all new tvs and my son already gets Netflix and Hulu plus using his Xbox and we get them using a Nintendo Wii in the living room. If me or my wife want to watch Netflix or Hulu in the bedroom, we have to take the Wii to the bedroom. Anyway, the main question was will we have to buy a Roku for the main TV or, will we have to buy one for each TV ? Or do you know of a cheaper, easier way we can get the service on all 3 tvs? Again, thank you so very much for your time!!! @coder – Not too sure on that. Might need to contact one of the Roku channel developers. Is there any way to get a copy of brightscipt. I know it’s on the box and how to develop channels but would like a copy on pc. @William: Roku charges no monthly fees. HBO GO & Showtime are somewhat different beasts compared to Netflix and Hulu Plus and others. Those 2 premium providers still require some sort of subscription through a cable provider to gain access to the channels. Their cling to the old format will eventually fade away, but it’s a big bag of money for them and they won’t give it up quickly. @Mike M: That’s something we haven’t tested, but I see no reason why you couldn’t run the Roku off a hotel WiFi. You would still need to have access to the in room TV ports to connect the Roku to the TV, but otherwise it should run as expected. In terms of the smartphone, you could use mobile hotspot from your phone (if you pay for that service from your provider) to the Roku, though it would likely be too slow to play video without regular lag. Does Roku charge a fee per month for access, if not, how does the company make money? How much does the HBO channel and Showtime cost per month? Thank you! @Bella – Quick answer is you need a TV. If you decide to go the TV route and still have questions, let us know! I live in an Apt that provides both free basic cable and Wi-Fi. I also have unlimited Wi-Fi through my cell phone’s hotspot. I do not own a Tv and prefer to watch previously downloaded stuff on my PC. I am considering getting a Roku 2 xs but I would like to know a few things about it first. I am not a huge TV watcher but it is nice to have it in the background and perhaps the Roku can help accomplish this, but it will also be a free gift so only the 2 XS option is available to choose so please consider this when answering. If I can not use it with what I have availible I would rather choose another gift. Is a TV necessary, Can it work with a laptop or desktop? Will it work with free Wi-Fi if I do not have access to make changes to the router, however there is a router located just outside my front door so It’s possible I can attach an Ethernet cable. Will it work with a cell phone’s hotspot if I can not use the “shared” routers in my Apt complex? And not as important especially since I might not fully understand a Roku till I get my hands on it, but can I use it in some way to take advantage of the free basic cable provided by my Apt? I have no desire to purchase a TV so cable really doesn’t matter. @Becky – Thanks for reading! You’re right, the AV cables will be your connection method if your TV doesn’t have HDMI inputs. Games on the Roku are priced very much like those on smartphones. Typical prices are $1.99 (mah jongg), $0.99 (sudoku) and some are free but limited in features (reversi lite). They aren’t fancy so don’t expect the games to be a replacement for Nintendo or Xbox, but they are entertaining enough. XS vs LT: HD aside, the big advantage of the XS vs LT is that the XS comes with a physical ethernet port. That means the Roku can be wire connected to your router if the wireless signal is too far away or not an option in your existing setup. As for the HD advantage, I’d ask yourself this – you may not have an HD capable TV now, but is it an option in the near future? If so, then you’ll want to have a Roku that can play the 1080p. If not, then there’s no harm in going with the LT.
@digger – Glad to help. I have to make a slight correction to my previous response. I added an extra zero to the distance. Should have been 180, but 50 shouldn’t be a problem. Good luck with your Roku! @chief geek. Thank you for the information, that’s great news. It’s approximately 50′ from router to TV. From my understanding the thought was to turn the nearest plug to the TV into an Ethernet adapter/bridge to strengthen the connection vs wireless. I’ve even seen routers to provide gigabit speeds. We’re looking to go HDTV soon and would like to make the right decisions upfront. @digger – First, you absolutely do not need the WD Livewire Powerline AV Network Kit in order to use the Roku. I think what you’re likely referring to is wireless distance from your existing router to where the Roku will be. Correct me if I’m wrong on that. It will be tough to gauge distance since router signal strength can vary, but our tests examined same room, one room away and as far away as approximately 1800ft 180ft without signal failure. Wired is certainly an option, the only downside is the inconvenience of running the ethernet cable across the house. Any option you choose, whether it be Roku or other streaming device will have content options like Hulu Plus and Netflix. The big decision for cable cutters is just how much TV they watch. Content providers and cable companies are making it as difficult as possible to watch television shows from these boxes so you won’t get every show you want, but you still get a pretty decent selection. If you provide me your distance between TV and wireless router, I’ll see about testing the distance for you before you purchase. Thanks for commenting! Thank you for the great information but suffice to say it’s still confusing in what direction to go. In particular I’ve read about Roku and Western Digital WD Livewire Powerline AV Network Kit. Would we need one of these to cut our cable or both or do we need to go another route. We would like to get a wired connection to give us a better feed. We’ve got one TV and our internet is across the house and with so many options out there would like advice as to what are the best options w/o costing us an arm and a leg. We’re no fans of cable TV but would still like to get some of the regular programming that apparently is available through Hulu Plus. @WhiteHatt Man – By “full featured” do you mean more expensive? Your post is from 6/2011 and your box is not available yet. Nice web site though. Roku has been available since 2008 and costs only $50 per box. With the 500 or so channels and programs available for the Roku I think it’s already pretty much “full featured”! @Flori – Thanks for the comment and question. Even though your TV is older, as long as it has the A/V inputs (red, yellow, white) then you can still use the Roku box. The Roku box doesn’t rely on your computer at all, so you can eliminate that from your concerns. The big question you need to ask is what your current internet connection speed is? That will be the biggest factor in determining how well video content will stream through your Roku box. The absolute minimum would be 1.5mbs for SD viewing, though we recommend going higher if possible. Your router will work with the Roku, you just need to tell it the information for connecting (just like a laptop). Hope that helps! My TV is about ten years old, perhaps even older, using a digital converter box —-my PC is old, too with Windows XP. I have a wireless router for my PC. I have an antenna on my roof. Right now I receive only channels 16, 32 and 38 and that with rabbit ears on top of my bookshelf. The Roku 2 sounds wonderful!!! Will it work on my equipment? Which model would be the best ? Looking very much forward to your reply. Thank you. I have developed a channel for the ROKU that is available in the channel store for a one time purchase of $2.99 It is called the Vintage Audio Video Channel. Vintage Movies And Classic TV Shows. Documentaries, Animation, War Films And Survival Information. A Wide Variety Of Entertainment, Information And Sage Instruction. The neat thing about ROKU is that you choose what you want to see on an individual basis. Once your buy a roku you could also watch many free channels or a combination or free channels and small fee “paid” channels. There are also many “private” channels that are FREE or paid also. The Conservative Channel (A Radio Alternative) is a “private” channel not listed in the ROKU channel store. There are many other “private” ROKU channels that are also not listed in the ROKU channel store. Hundreds in fact. @KingB123 – A little confused by the question, but the price of the Roku is a flat fee. Purchasing another or replacing an existing Roku won’t alter the price of any monthly subscriptions (Netflix, Hulu Plus, etc.) Hope that answers your question, thanks for asking. I am about to purchase another HD unit , is my bill going to be more ? Hi Jerry, thanks for the comment and question. You would need to purchase a Roku box for each room (simplest method) or run cables from the Roku via modulator to all the other rooms (complicated, not very cost effective). No you cannot use the existing RF cable to deliver the signal from one Roku to another or to the Roku itself. In your particular case, assuming you bought the XS model as shown in Part 1 of this series, you would spend ~$600 which is a one time fee vs. the cost of your current cable bill which is likely much higher than that based on yearly totals. – You can purchase the Roku units you need here. The only thing I would recommend is purchasing an HDMI cable for each to provide a better quality picture. You can view / purchase one here. Hope that helps! Let us know how you make out. As a computer enthusiast, I wondered as to when one would be able to watch television on a computer. I currently have cable television delivered to six rooms in my house, and if I were to “cut the cable” to switch to television service via Roku, would I need to purchase a Roku unit for each of the six rooms? If not, is it possible to deliver a signal from the main Roku unit to each of the rooms via the existing television cable system which I currently have? Where may I find information regarding the equipment which I would need to purchase in order to provide television service to each of the six rooms in question? You should be looking at a full featured component.. take a look at WhiteHatt Internet Television.. http://www.whitehatt.com – Hope it helps!